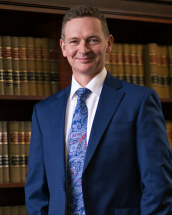 Scott Best received a Bachelor of Science from Northern Kentucky University in 1997,and his juris Doctor from Salmon P. Chase College of Law in 2001. Mr. Best has been licensed to practice in the Commonwealth of Kentucky since 2001; State of Ohio since 2002; the U.S. District Court, Eastern District of Kentucky since 2006; the Sixth Circuit Court of Appeals since 2014. Mr. Best is a lifelong resident of Northern Kentucky. Since graduating in 2001, Mr. Best has been representing clients in all aspects of civil litigation. Mr. Best has tried many cases to jury verdict in the state courts of Kentucky and Ohio. In addition, he has argued numerous cases on the appellate level and has had the privilege to argue successfully before the Supreme Court of Ohio. Mr. Best is a member of the Kentucky Bar Association, Ohio Bar Association, Northern Kentucky Bar Association, Kentucky justice Association, Chase Alumni Association, Salmon P. Chase America Inns of Court, 2009-2010.